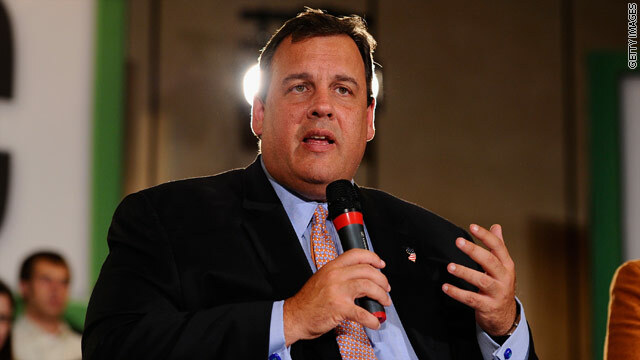 Tonight on Crossfire: New Jersey Governor Chris Christie gets sworn into his second term but can he get past the scandal and turn his political fortunes by 2016? Read the full story. At 6:30pm ET. former Virginia Attorney General Ken Cuccinelli and Democratic strategist Brad Woodhouse of Americans United for Change debate with Newt Gingrich and Van Jones. Also, former Virginia Governor Robert McDonnell and his wife have been indicted on charges of illegally accepting gifts. We’ll ask Cuccinelli, who served under McDonnell, for his reaction. We want you to weigh in on tonight’s Fireback question: How should Republican candidates feel about campaigning with Christie? Vote by tweeting Proud or Embarrassed using #Crossfire or comment on our Facebook post. View results below or through our Poptip results page. Danged if Governor Christie is guilty .. and danged if he is just incompetent. Either way, he's not ready to be President of the United States. Christie is NOT lying! IF he is.... its over for Him. He did the right thing to fire those that were involved.... unlike OBAMA! WHAT A TANGLED WEB WE WEAVE, WHEN FIRST WE PRACTICE TO DECEIVE. The Liars, Movers and Shakers are trying to head off Christi at the Pass. Well I don't blame them because if Christi get's elected President the first thing he is going to do is put all those Liberal's out to Pasture, uh introduce them to real work. I can't understand why anyone in the GOP would waste their capital on Christie at this point. His whole schtick was based on being a "straight shooter" who would deal fairly with both sides of the aisle. The Bridge demonstrated that he's either an incredible bully who abuses power in grotesque ways or simply an incompetent who has no control or knowledge of what his own staff and appointees are up to. His only defense against being a criminal is being incompetent. I'd think if there's any smart money in the GOP, it's going somewhere else.